This week we’ve changed the Brawl of the Week! 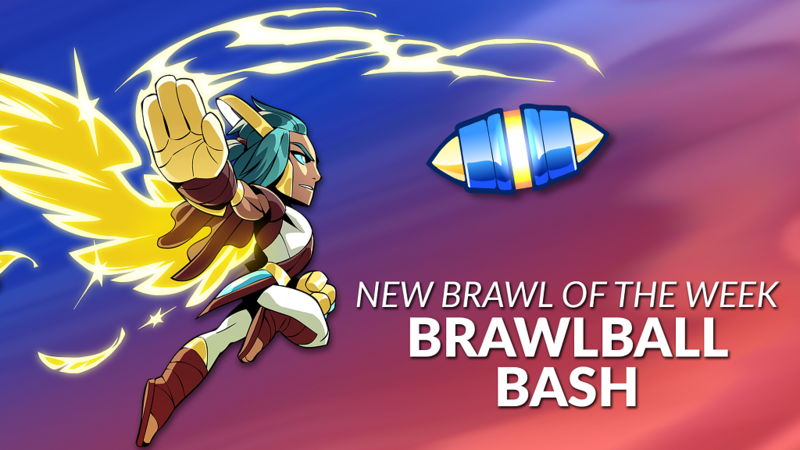 Queue alone or grab a friend – try your best in Brawlball Bash! We also changed items on sale in Mallhalla, reset missions, and updated what Legends are on the free-to-play Legend rotation for this week. Get the team together for this 3v3 game! Don’t have a team? Fear not, we’ll find one for you! Hit the Colosseum, snag the ball, juke or pass past your opponents, and hold it in their goal to score! No team damage, and you can go through walls the same color as you. First team to 3 scores wins! 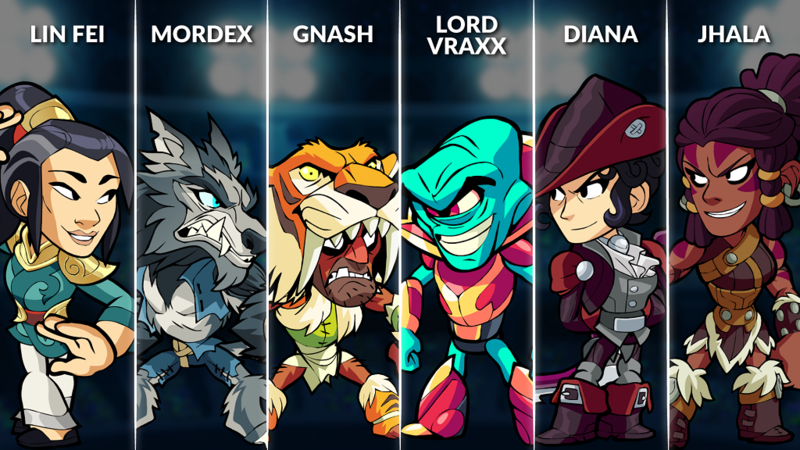 The new Legend rotation for this week includes: Gnash, Diana, Jhala, Lord Vraxx, Mordex, and Lin Fei! Jhala – Given the title “Exalted Lion” by Apollo himself, Jhala “The Unbroken” takes the glamor of Valhalla in stride, while having fun slaying her foes with Axe and Sword.